Viking Cruises has announced its new onboard Viking Resident Historian program. Launching on Viking Star, Viking Sea and Viking Sky this month, historians will provide enrichment for guests onboard its ocean ships. The cruise line has also released a video about the program, which can be found on the Viking website. The Viking Resident Historians will provide guests with a historical and cultural education that is specific to their sailing itinerary, offering a framework for understanding the major chapters in world history. They will also conduct seminar-style roundtables – smaller, more intimate forums for discussion with guests, where the Viking Resident Historian will examine in-depth subjects related to their own area of specialisation and/or particular areas of interest of the guests. Dr. Mark Callaghan: he holds a Ph.D. in History from the University of London, an M.A. in Art History from Oxford University and a B.A. in Art History from the University of Manchester. 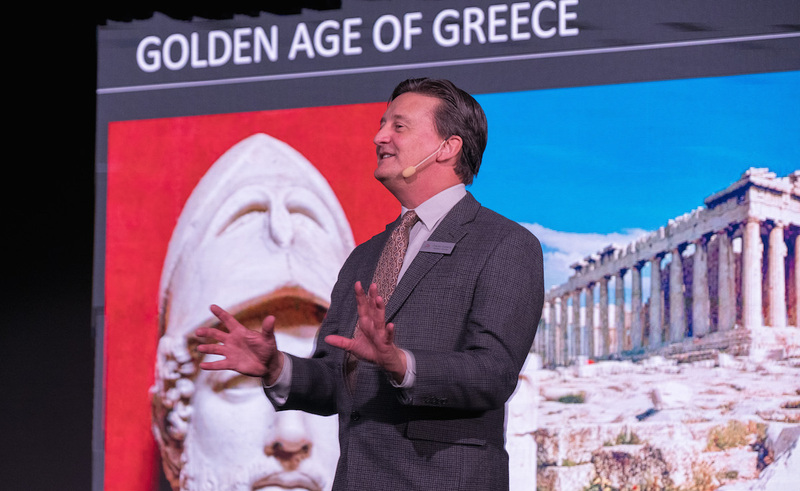 Dr. Callaghan is a specialist in 20th century European art and culture and will serve as the Viking Resident Historian on Viking Sky on sailings of Empires of the Mediterranean this spring. Lt. Colonel Tony Coutts-Britton: a graduate of the Royal Military Academy, Sandhurst and served with the British Army in Europe and Asia – and later with NATO in the Partnership for Peace program. Lt. Col. Coutts-Britton lectures on the social and political aspects of European military history and will serve as the Viking Resident Historian on Viking Sea on sailings of Empires of the Mediterranean this spring. Dr. Fenella Bazin: she holds a Ph.D. from the University of Liverpool, is a graduate of the Royal Academy of Music and is a Research Fellow at the University of Liverpool’s Centre for Manx Studies. Dr. Bazin is a specialist in the Age of the Vikings and modern Norway and will serve as the Viking Resident Historian on Viking Star on sailings of Empires of the Mediterranean this spring.